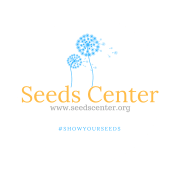 Seeds Center brings people together and pioneers new community enriching programs to rethink gaps in traditionally structured learning, both on the instructors' side and for that of the student. Seeds Center hopes to work as a supporting figure in the current frameworks of traditionally structured learning creating valuable new programs filling specific needs but not to replace existing institutions. Seeds Center is currently rooted in the physical location of Unity Community Center of Unity Lutheran Church, an open and affirming institution, located in one of the most socioeconomically diverse areas in Chicago close to the micro-areas of the Asian community on Argyle in Uptown, the bustling Andersonville, and the Bryn Mawr Historic District. Seeds Center, NFP is a 501c3 nonprofit organization. Shop Smile.Amazon.com with us, find us on GuideStar, and raise funds on Facebook all for a good cause. Together - we can create unimaginable beauty. Would you recommend SEEDS CENTER NFP?